Submit your best photos and videos. Heads Up: All submissions to the Million Dollar Challenge must be unedited video clips shot on HERO7 Black. Learn more about the HERO7 Black Million Dollar Challenge HERE. Ready to submit? You're in the right place. We’re stoked you’re living your passions and capturing your life with GoPro. Review the tips below to ensure your content hits the mark. 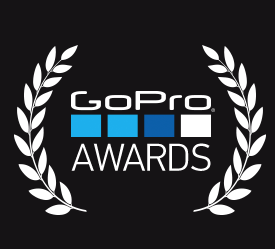 To be eligible for a GoPro Award, you need permission to use the music in your video. We've made it easy. GoPro has teamed up with Epidemic Sound to give you a huge library of approved music. It's all free. All you have to do is find the best tracks for your story. Thank you! Your content has been submitted.